How can we live in such a way that we die only once? How can we organize a society that gives us a better chance to be fully alive? How can we reinvent religion so that it liberates us instead of consoling us? 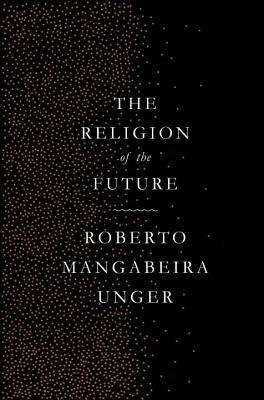 These questions stand at the center of Roberto Mangabeira Unger’s The Religion of the Future: an argument for both spiritual and political revolution. It proposes the content of a religion that can survive without faith in a transcendent God or in life after death. According to this religion—the religion of the future—human beings can be more human by becoming more godlike, not just later, in another life or another time, but right now, on Earth and in their own lives. They can become more godlike without denying the irreparable flaws in the human condition: our mortality, groundlessness, and insatiability. Roberto Mangabeira Unger is one of the leading philosophers and political thinkers in the world today. The Religion of the Future develops a vision that Unger has also advanced most recently in The Self Awakened and The Singular Universe and the Reality of Time (with Lee Smolin) as well as in his earlier work, Passion.